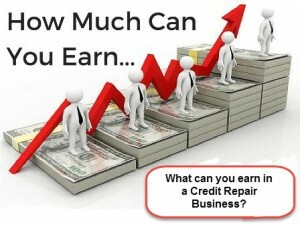 So, you want to learn how to start a credit repair business? If you want to start a credit repair business or company–just know that it is easy and a lot simpler than you think. However, if you follow social media, there are so many sources with information that makes selecting the right training extremely difficult. Don’t worry though, you will learn how to start a credit repair business if you keep reading. When searching online “how to start a credit repair business” or “credit repair training”, the results will usually show credit repair software companies. They outspend everyone, just to be on the first page of every medium. However, taking their advice is the most expensive approach to starting a credit repair business. If you take the time to read this post, you can learn the steps on how to start a credit repair business or company. I will explain the process and the best approach to getting started right from home and save you a lot of headaches and money. First, you don’t need a degree or a special license to be a credit repair specialist. However, it is very important to be a member of a non-profit credit repair trade association that ensures high standards and policies the industry as suggested by the CFPB and FTC. They have charged this industry to police themselves. There are two great non-profit associations that support credit repair industry standards: the Credit Consultants Association (CCA) and the National Association of Credit Services Organizations (NACSO). These organizations have two different approaches to certification. CCA is the oldest and has the largest membership. They have a very affordable annual fee and take complaints from consumers, certify individuals rather than companies, and go undercover to check and weed out bad credit repair companies. They require individuals to pass an exam and vow to follow ethical guidelines. Because they address individual business owners, the CCA is launching a criminal/civil background check system for credit repair consultants and company owners. This system will also check education and other certification credentials. This will fully go online by the second quarter of 2019. According to officials, they believe that bad business actors are good at disguising themselves and their intentions, and they are usually adept at having their documents in order. However, one can’t run away from a quality background and credentials check. The association is expanding to address more local level issues where credit repair companies are located. NACSO makes sure credit repair companies are in compliance by checking their contracts, sales scripts, and paperwork. To get their certification can be a tedious process; this is because one must make sure all the company’s paperwork and sales scripts are in order. They also have monthly fees, and these fees go to pay for a Washington lobbyist (Magnolia Strategy Partners) to help the industry. Officials reference their success in fighting against legislation that hurts the industry, and they have relationships with Washington regulators. They also have plans to take on more issues. Both are extremely necessary organizations, so it is wise to be a member of both when you can afford the fees. I only recommend that you get your certification and initial credit repair training from a non-profit organization. Starting a credit repair business can be extremely lucrative; especially since all the issues facing the credit bureaus as of late. It also has a very low startup cost if you are SMART and do your research. DO NOT be persuaded by any FREE TRAINING listings, because nothing is free unless it is provided by a non-profit company. The FREE will attract you, but in most cases, it ends up costing you money. In this case, it will cost you $150-$500 per month just to start with no clients. Also, watch out for some of the YouTube videos and personalities on social media that talk about making lots of money in the credit repair business. If you have low startup capital, you will be wasting your money getting started with them because of the cost. There is a source that will include that same information FREE in their materials. These sources will have you spending $500-$1500 just for their training or to purchase their software. YOU DO NOT NEED TO DO THIS TO START and be successful from the outset! Lately, I’ve seen a MILLIONAIRES’ CLUB listing of those that earned a million dollars in the credit repair business. Our research firm was NOT able to verify this information. Based on their name and company, some of those listed did not make a million dollars or had other businesses outside of credit repair. It may be possible that their collective businesses income was used instead of only their credit repair business. This discrepancy concerned our research department, and we feel that the credibility of the source to verify financials may be in question. In addition, we were not able to match sales or income with public government records. It is important to know that you can make seven figures in the credit repair business and a great living of six figures or more. However, hyping a business, as I’m told it is called, to boost sales or one’s personal brand is unnecessary; especially in the credit repair business. This could bring more unwanted scrutiny from a local state AG’s office. Also, it can be embarrassing if a researcher gets involved and is unable to verify such claims. There are several seven figures credit repair firms out there successfully and quietly servicing their clients. You never see them on social media boasting about being a millionaire. What we are seeing in social media is unfortunate for this industry and could bring scrutiny. Who Should Consider A Credit Repair Business? If you love helping people and can grasp credit concepts, you should consider a credit repair business. It has a low barrier of entry, and the ONLY possible obstacle is affording your bond if one is required in your state. Bondexpress.com can help with this. Also, attorneys, real estate agents, mortgage brokers, car salespersons, tax professions, and financial planners should consider adding this service to their current business practices. Your license may cause a conflict of interest with mortgage brokers, BUT creating a service outside of your company could be advantageous. Credit challenged individuals hurt many sales for most of these services mentioned. Also, many brokers and others get direct leads from dealing with those with credit problems in their normal business environment. Why not channel these individuals to your own credit repair business or one you are affiliated with, for an additional profit center? It’s just smart business. What Do You Need To Start A Credit Repair Business? All you need is a smartphone, a computer with internet access, an email account, a word processor program to write letters, AND thorough basic training. Thorough credit repair training is the key and can cost under $80 from the right source. You can then seek a mentor after your initial training. The smartphone is helpful to place reminders for the letters you have written on behalf of your clients. To grow, you will eventually need a website, BUT not to start with, unless it is very inexpensive. You can have a FREE Facebook page instead, and it will work for a long time. If you want some low-cost automation for your letter writing, there is a credit letters solution I will share later that is amazing. It is as low as $9.95 per month, and it will save lots of time in this process. It is also an easier way to track clients and to be reminded of the letters you need to write. So many believe that they need a credit repair software program to start and manage their credit repair business. This is NOT true. However, you can purchase this much later. This will be when you have successfully helped enough clients after your initial and complete basic training when you can afford the software program. Why should you wait? Higher startup costs and monthly expenses. Most of the training you see online and on social media are from credit repair software companies, individual personalities or gurus, and now FES. Their training is geared towards marketing and branding and is NOT about the thorough training you need to be an effective credit consultant. Selling is extremely important, but someone must do effective work for the client. These individuals and companies are simply steering you towards their software company with free trials and seeking monthly fees afterward. You are also being pushed to take their training to build your business. Your startup cost can be as high as $2500 just for training, and you will also find yourself with $99 to $400 per month in expenses before you have any clients. This can be a recipe for failure for many just starting out. Also, many people go out of business because the initial expenses were too high. FES, which stands for Financial Education Services is a direct sales organization. I have no issues with direct sales companies or this company; they are a good company. However, the way some of their agents are selling this service on social media is fraudulent! I’ve seen posts that are flat out lies. They are creating illusions that this company can guarantee to remove a bankruptcy or collections account off your credit report 100% of the time. Net Impression is extremely important when selling credit services. You can’t make people believe that everyone will get the same results, and to do so is fraudulent, but some agents are doing this. As a result, so many people think this company is a scam when it is actually BAD direct sales agents going against the company’s policies. Here is my take: This is just an outsourced service that allows you to focus on people while they do the work. When it comes to credit repair, it’s a personal business and clients want to connect to the one selling the service. Why give up direct access to your customers when you can collect all the funds yourself for your customers and still use an outsourced service? FES may be the best approach for some to make a great income, but it’s not suitable for all. I’ve reached out to several FES agents when I see a post asking questions, as I wanted to see if they could prove their success. I’ve had several to share that they have not made any money but know someone who has. When I’ve reached out to them, I noticed one thing: They were getting people into the business and making money that way. I feel that if some of these agents put the same effort into getting credit repair customers, they probably would earn much more money in their own credit repair business. That’s just my take. Can one make an excellent income with FES? YES!! It is just something that I would not personally get involved in. It’s not that the company is bad; maybe I just don’t like hype and don’t feel many of their agents are serving the public with their inappropriate sales tactics. FES will get rid of them and do reprimand them, but they are still out there. Again, I’m NOT knocking this company, just some of the bad direct sales agents who give credit repair a bad name. Yes, you can outsource a credit repair business, but I do NOT recommend doing this when you first start. Why? Because you need to understand how this system works and know how to do the work yourself. What if something happens to your outsourcing service? Many of them may have one person who is the guru, and their workers just follow their instructions. There was a case where one person was doing outsource work for several small companies but became extremely ill. It was tragic because the credit consultants that hired them for outsourcing services went out of business. This was because they did not know how to do the work themselves. Why did they shut down? Well, they had many requests for refunds because they did not have the skills to do the work themselves and couldn’t hire another outsourcing firm in time. Also, the consultant could not hand it over to another source as he did not know what work had been done. However, If you are looking to outsource, Nationwide Credit Expert is a great source. Learn how to do the work yourself, and you can outsource the credit repair services much later if you desire. However, it’s OK to outsource while you learn the process. Keep in mind that credit repair is a personal business and your clients will want to feel that you are focused on them. This is just as important to your long-term success. What About Credit Repair Automation? Automation is excellent and is the way to go, as long, and you can serve your customers with custom and personalized work. However, it is not always cost-effective for startups with most credit repair solutions. One has to be careful not to create customer dissatisfaction with too much automation. There are less expensive solutions to help you get started. For example, you can get a letter writing solutions while you grow that will get the job done until you are ready to handle a full and more expensive credit repair application. PLEASE NOTE: Some people are not clear regarding the limitations of credit repair software. Just know that credit repair software can NOT legally pull consumers’ credit reports or load them directly from the credit bureaus. One must have a permissible purpose to do so, and a credit repair company does not fit this legal standard. They can import them in using a couple of credit monitoring services that can display what is negative or positive, including public records. Therefore, credit repair software is an effective management tool for a growing company, but only if you are fully trained in this business. If you want to start a credit repair business and be successful, you must separate yourself from all the nationally advertised firms. You must brand yourself differently by offering a personal touch to your services in your credit repair business. This is because you won’t be able to compete with the big firms that advertise on the radio and TV. Many consumers that live in your community may feel more comfortable with you instead. You can brand yourself by saying that you offer custom credit repair letters for each client instead of cookie cutter letters. For this, you will need a custom letter system. As I stated in the beginning, you also should want to be a member of non-profit organizations that police the credit repair industry and ensure that their members maintain standards. In my research, the public does not trust certification that comes from credit repair software companies or individuals: they ONLY respect certificates from an industry trade association. So, if anyone says that you don’t need to be certified, or show any certifications. It is important to know that this is true, But it is NOT wise to be without one. Just think, if something happens, or someone sues you, they could make the argument that you did not have any proper training credentials within the credit repair industry; this has happened before. If you have credentials from the industry’s associations, that argument can NOT be made against you. That’s why you should want to be certified by a non-profit credit repair association, as it will say that your service has ethical standards. Besides, the public ONLY feels comfortable dealing with individuals and companies aligned with their industry’s associations and often call them to verify their membership and credentials. How Much Can I Make If I Start A Credit Repair Business? A credit repair company can make from $500 to $6,000 per month for the average person working from home part-time, spending about 20 to 30 minutes per month for each client. However, you will spend more time with the intake process of initial contact with the client. You can earn $95 to $300 at the first contact stage, based on evaluating a credit report and producing a plan to boost your client’s score in the initial stage. If you are above average, you can earn $10,00.00 full-time, and some are earning even as much as $75,000.00 per month. Yes, this much! Now think about this: where can you earn an additional $1000 per month with little effort and time for a startup company that will cost under $250 to get started with a website; or under $900 if you decided to have a complete startup system? Many software-based companies say that you can spend 5 to 15 minutes per client, but this is NOT enough time to offer your personal touch in the credit repair service that you will need to be successful in this climate. The big credit repair firms like Lexington Credit and CreditRepair.com already have huge clients due to heavy advertising, and they have account representatives. This is great for you because their advertising helps you in your local market. However, some people feel that the reps of in these firms have so many clients that it is hard to feel connected with them. Many consumers prefer to find someone close to them for help. Therefore, you should create a “personal services” type brand, demonstrating that your clients will not feel as if they are just a number among many. If you offer the same quality service as these big firms, while providing a personal touch in your community, your business will grow. How Much Should I Charge for My Credit Repair Company? Most credit repair companies charge $49 to $99 per month for their services, and there is a reason why which I will share after I show both methods. That said, one of the most popular methods that many are using is called pay-for deletion. You are charged per deletion, or per points increased. For example, some companies charge $50-$85 per deleted item off a credit report for each account deletion and $10-20 for inquiries and late pays. Some add more for deleting collections or public records accounts. Also, there are some that will charge a flat fee of $85 for all items. Let’s say you have one client and they have five (5) challengeable accounts on their credit reports and three (3) non-account items. You can earn up to $575 with that client: 5 x $85 and 3 x $50. This client will happily pay when they see these results. You can ask for an escrow payment to hold a portion of the funds to be received until the service is rendered. As service is performed, you will get paid. Just having two clients per month will earn you over $1000, because most clients will have at least 7 to 15 account issues. What if you have three clients per week? This is where you can earn over $6000 per month part-time. You will spend no more than 2 hours per week working on each new client and about 5-10 minutes per old client getting paid for another round of deletions until you complete them. Here is an example: Say that you have ten clients for one month. I like to be reasonable because many small based credit repair companies working from home can easily get 10-20 clients per month. Normally they will have seven challengeable account items on their credit reports. If you delete three items for all a client’s credit report, that’s 30 x $85. You will earn $2, 550, but you still have more to earn for the next rounds of challengeable items. Without getting a new client you will still earn another $2550 off the same ten clients and depending on their accounts, this could go on for about 3 to 6 months. The key is that since you are getting results, you will keep adding clients and watch your income soar. Here is the issue with this method: There is a federal statute (Telemarketing Sales Rule) that come into play that will prevent you from collecting funds for six months after the work is done by using this method: this applies to when conducting business over the phone. It hasn’t been enforced yet and may never will– but it’s there if someone ever wants to shut you down. BUT regulators really like this method because you are only getting paid for success. Just know that it can be tricky, but many are still using this successful method. It is also why most credit consultants choose the monthly payment method, and only to charge after the work is produced for a client. As I stated before, one does not need a special license from the government or a degree to start a credit repair company, but there are federal rules and guidelines for each state. A good credit repair training source will provide this information. I would get my initial training from a non-profit source where credit repair training is their primary business model, and they have the interest to protect the industry with standards. They will not attempt to sell you anything but will provide you with a solid foundation on the process of being successful and in compliance credit repair consultant. After your basic training, then seek a mentor or coach to help you take your business to the next level. Just spending one to two hours of a mentors time can do wonders for your business. This can range from 50 to $100 per hour. Again, it is BEST to get certified by one of the credit repair industry’s associations so that the public will have the confidence that you can do the job and are trustworthy. Certification from any other source other than these two associations are not valid certifications, neither in my opinion or in the eyes of officials I’ve spoken with. You want to be a member of an association and vow to adhere to the industry’s standards. Before you start your business, you want to be in compliance with your state and The Credit Repair Organizations Act. (CROA). FTC and regulators want the credit repair industry to police itself because of past bad actors. However, so many are offering certification and training, BUT are NOT expressing concerns regarding compliance, protecting and policing the industry. They are just selling a product or training service. Therefore, a lot of people are now getting involved in this business without a clue about how not to cause harm to the public. Again, and this is worth repeating if you are going to be part of the credit repair industry, align yourself with either of the two industry’s non-profit trade associations: the CCA or NACSO, because they make protecting the public their mission. I am recommending the CCA, The Credit Consultants Association, Inc. I have no affiliations with them, but I like their low-cost program and mission. Additionally, their startup credit repair training material is in-depth. They are a non-profit trade association offering credit repair certification, membership, and they provide excellent self-paced thorough basic/advanced training. Many of the top successful credit repair professionals and the individuals selling their training in social media and YouTube received their initial training with this organization. They are a perfect source for starting your credit repair business with training for under $80. They also offer one-on-one phone coaching services if needed and free email support for members. Besides, they are like the Better Business Bureau of the credit repair industry that collects and resolves complaints from the public. If you know of a company that is not following the guidelines, alert them, and they will follow up and take action. Also, they will keep you abreast on various industry changes. It is their goal to police the industry and provide its members with compliance information. You should become a member, get your training and certification from them. They are extremely affordable and an excellent source to learn how to start a credit repair business with a strong foundation. They also have the FCRA and FDCPA certification programs. As I stated, you don’t need a full software program. There is an excellent credit letter writing system that is amazing and extremely low cost. I’ll provide the link below. However, there are some good software packages available when you are fully trained and ready to afford other additional solutions. Many packages are great for startups companies with more resources, and one can earn a great living with them. In some cases, those with a large client base will notice slower speeds in the software’s processing capacity, and this can become extremely frustrating for business owners. That’s when these business owners may look for other solutions or create their custom software. Therefore, getting the software should be addressed after you have done credit repair manually or you could maybe use a low-cost letter writing system. Most importantly, these solutions should be implemented only after understanding how this business works. Once you have received some real results, then you may want to get a software application to help manage your business. However, NEVER allow any of these software program dispute engines to do all the work for you. When the disputed program works for your client, use it, but DO NOT throw away your word processor. Some challenges to credit bureaus and furnishers must be customized for each client, and most of these software programs will not accommodate these issues. They offer customization with limited placeholders to address complex letters. A low-cost letter writing system as a supplement to the process could help with this problem. To sum it up, I’ve looked at most of them, and some have many features. Credit Letters Cloud formerly (Dispute Letter Generator) is the powerful, low-cost solution I mentioned earlier that costs as low as $9.95 per month for a basic plan. This is excellent for credit repair startup companies or any consultant that desire to automate complex letters. They also a complete plan package which is extremely affordable compared to other expensive credit repair applications out there. Although you don’t need software to start your business, this software package is so extremely affordable that it can be advantageous to use. Mainly because it is a tremendous time saver. It is also a robust automation solution. My favorite part about Credit Letters Cloud is that it has Letter Stream integrated into the system and users can send letters via first class and certified mail directly from their dashboards. Why am I mentioning them? Well, it’s what I use to send my credit letters when helping friends and family. I hate going to the post office and this makes it easier and time saving. PLEASE NOTE: I’m not getting paid one dime or anything for recommending these or any other solutions. If you need to organize your letter writing process, this solution is perfect! By the way, I’m not in the credit repair business; I am a researcher. However, I do help family and friends with their credit, and Credit Letters Cloud is under $10 per month, and I did purchase their letters too, and it helps me to do this. Disco is a FREE application, and they are getting traction from many startup credit repair companies. You will have to do a lot to set it up, but free is free. They may be a good startup package too. However, when I tried the application, I noticed that it became sluggish and was often very slow. It was very difficult for me to set it up. I tried it day and night and was getting the same results for over 30 days. This was just my experience, and I’m not sure if they were having technical problems. However, I’m aware that a premium and pro versions are out coming soon and I will revisit this product. Credit Detailer is another reasonable price package that startups are using, and it is a very nice flat priced business in a box program. Credit Repair Cloud is the number one selling software package out there. It’s an excellent software package, and their software support is very good; it is very user-friendly too. It is one of the most popular software, and their marketing model guarantees this. Credit Money Machine has been around for 30 years, so it is probably the oldest, and it is very robust. It is a small company, but it has an excellent product. Besides, there is a learning curve and requires training. They do have a lite version that’s under $100, but it’s limited. I also love the Client Dispute Manager software. It is a business in a box solution with built-in training. It’s an excellent solution for credit repair companies. Credit Admiral software is another excellent package that I also love. It was designed by credit repair specialists and the product owned by the organizer of Credit Con, the industry best credit repair conference. Dispute Suite is another solid package that many credit repair companies are using, and it has a support team. They have gained popularity mainly because they host a successful boot-camp each year. SX3 is another software program that has been around for a few years, and it can use unique dispute letters for each client. They are a good startup package too. ScoreCeo is another package gaining traction. We will gain access to better review the application. There are many more that are good startups packages on the scene, and as I take a closer look at them, I will update this post accordingly. Just make sure you get good basic training and credit repair certification before purchasing any software program, but if you can afford to do both, it’s OK if you are aware that the software cannot do all the thinking for you. Sales are very important to making money in any business, and one will need leads. If you are going to be serving people you don’t know; you will have to get a website eventually. Even if you have a social media page, potentials clients will want to learn more about you or your business. A website is the best way to do this. However, a professional website that represents you properly can be expensive. Here is the best source I’ve recently found: www.creditrepairtemplates.com to get a website for $150.00 down and $19.99 per month for 12 months and $10 per month after a year. They are a website wholesaler and do amazing work. You can connect these sites to any software program. Again, I do not earn anything sharing this information. My goal is to save you money from whatever credible source I can find. Please be aware that credit repair is a personal business. It can NOT be fully automated because people skills are part of it. It is hard to connect with a machine and feel connected. Customer dissatisfaction is usually high in this business when it is too impersonal. Just as if a person is going to a barber or hairdresser, they want results that are suitable for their situation and requirements. This automation rhetoric I hear in this industry is great. But, it can be a recipe for disaster if NOT done properly. Automate your communications and use time-saving processes. However, make sure you maintain human contact with your customers at least once a month. Automation can do many things for your business BUT handle the human connection. Successful credit repair firms with great satisfaction ratings have an excellent person to person contact with every client. Finally, let me say again, make sure you know how to do the work before selling this service unless you are going to use an outsource service 100%. However, the goal is to still get certification and training first. You must learn how to develop strategies that will help your clients and not hurt them. These steps will protect the credit repair industry and keep this type of business lucrative. Again, I like the Credit Consultants Association (ccasite.org) for membership, certification, and startup basic training and support. This entry was posted in Start A Credit Repair Company and tagged become a credit repair specialist, CCA reviews, Credit Consultants Association Reviews, credit letters, credit letters cloud, credit repair association, credit repair automation, Credit Repair Certification, credit repair classes, credit repair classes online, credit repair courses online, credit repair school, credit repair software, credit repair specialist training, credit repair training, credit repair training online, credit repair training program, FES, Free Credit Repair Training, how to start a credit repair business, learn credit repair, metro 2 automation, ork home start a credit repair business, start a credit repair business, Start A Credit Repair Company, steps to starting a credit repair busines, steps to starting a credit repair business. Bookmark the permalink. I totally agree with you Amber. I already own a credit repair business and purchased software last year. I can truly tell you that we just did not know what we were doing and it is 3 of us. I just took your advice and getting training for all 3 of my team members. Thank you Amber, I followed your advice and now certified and just purchased software after six months of training. I love this post and recommendations. It seems attractive to get a software program because it appears easier. You can click on buttons and make it all happen for you. But I get your point that I can not be as successful without training. I really thank you for this information Amber. Absolutely Mark! it does seems easier but best to get advance training first. I really enjoyed this post. I was just about to take the launch and grab one of the software programs you mentioned. I would have been one of those individuals that didn’t know anything. I’m a newbie to this business. I am a praying woman and thank God that he led me to this site before I made my purchase. I just signed up for training. I went to a boot camp last October and purchased another software program. I have to admit that I am still lost about what to do and need advanced training. This post really helped me to find a source for training. Thank you. Thanks Amber this is the best article on getting started out there!! I took all of your advice and glad I did! Very helpful and informative!!! I’ve been searching for the best sources and you provided me a way forward. I’m taking your advice. It’s the best I’ve seen.